When it all begins at the kitchen table, it seems so simple. Fast forward just a bit and your home-based business or startup doesn’t quite contain itself to one tabletop. There are products, samples and parts everywhere. 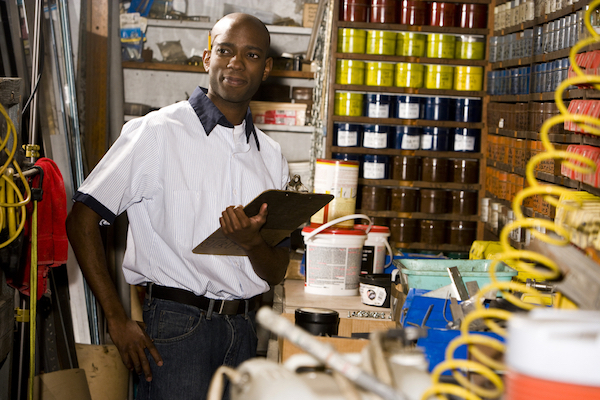 Even if you want to keep your business at home, you’ll need to find a way to organize inventory and supplies. As a professional organizer, it is a fun and exciting task to step into a new company that finds itself so busy that they are challenged by disorganization. At first, it’s easy to keep up with everything—no system or routine is needed. Down the road, it becomes a juggling act, which of course is a good thing because it means your business is booming. Grabbing disorganization by the horns and wrestling it into compliance is a must. It means you’ll be able to focus on generating revenue instead of hunting for things. Keeping up with your inventory is essential. While there are tons of apps or programs designed to help you keep track of inventory, they don’t address your physical space. If your inventory program shows you have three of something but you can’t put your hands on any of them, it won’t do you much good. Early on, you are managing everything in one spot. As you grow, take the time to separate activities to better keep track of each step and products. Keep in mind that keeping track of goods doesn’t just apply to retailers or wholesale, but also the service industry. A big cost of providing the service is the amount you spend on necessary products. Keeping track of those products and their costs is key to turning a profit. Since packages arrive in a steady stream, it isn’t always possible to open and process a box immediately. Set up a designated spot for incoming goods. Without a specific worktable or shelving for incoming boxes, it is easy for them to be mixed into stock before getting priced, tracked or labeled for a specific customer. Your incoming work station should include tools for opening packages, appropriate labels for pricing and bins for recycling packaging materials. As your business gets busier, you’ll do best if you set aside some time to organize a dedicated storage area. Having boxes, products, parts, supplies and tools stored haphazardly is sure to cost you money in the long run and will certainly cost you time as you hunt for things. Get Organized – Clear out clutter from a spare room or the garage and create a dedicated spot for all your business goods. Add Space – If you don’t have an extra room handy to set up as a business center, consider adding a storage shed. It can serve one of two purposes: You can use it as a dedicated business storage area that is easily locked and contained when you leave, or you can use it to hold your household items so you can free up other space for business things. Go Vertical – Add freestanding shelving that can be moved if your needs or location changes. Shelving keeps you from stacking and unstacking piles and provides an easier way to divide items. You can also add pegboards and hooks to hang inventory. Label Everything – The more you label, the more you’ll stay in control of money spent. Add labels to rows of shelves. Label the lip of shelving. Make sure your shelf labels match your product codes used by your inventory system. If your business is filling orders, you’ll want to create a space designed to handle outgoing goods. Similar to your incoming goods station, it should contain a shelf or perhaps a rolling cart for products. Set up a work table for customizing products and packaging products to be shipped. The work table should have all of the tools and packaging materials you need to use within easy reach. Once you have set up incoming and outgoing stations as well as organized storage, it becomes much easier and faster to create a regular routine for handling goods. Develop good inventory control procedures for things like matching packing slips to orders or checking off outgoing products. Perform a monthly check of physical items and compare it to your electronic records. Keeping track of inventory is important for theft control. In addition, it allows you to monitor low sellers and find products you need to put on sale or push. Your time spent organizing your routines and inventory will pay off for you in the long run. 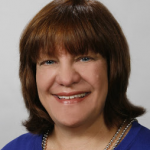 Storage expert Lea Schneider writes on small business organizational topics for The Home Depot. For an array of physical storage solutions that might be appropriate for your business, you can visit Home Depot.